Gosport & Fareham Inshore Rescue Service will be bringing together emergency crews for a special Blue Light showcase on Sunday, July 17. 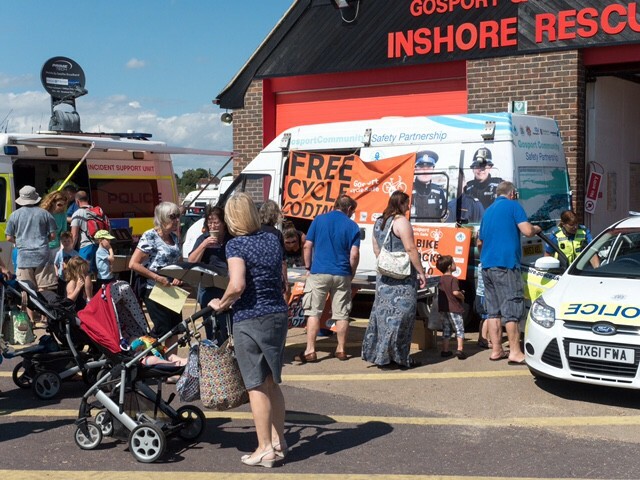 Representatives from police, fire and ambulance services will be attending Gosport Lifeboat Station, Stokes Bay, and showing off their emergency vehicles at a free event for the public, plus other voluntary and civilian provided public services. Visitors will be able to see and hear about Gosport’s new independent lifeboats, the Joan Dora Fuller and Ian Fuller, as well as pour over police cars, a fire engine and an ambulance. Also attending the event will be the Coastguard’s Hill Head Mobile Unit, SERV Bloodrunners, National Coastwatch Institution and Ramora UK Bomb Disposal. GAFIRS chairman Keith Thomas said: ‘GAFIRS are very proud to highlight the amazing work our emergency services do and this event is a great way for the public to come and meet these heroes face to face. The free event starts at 11am and finishes at 4pm. Emergency services attendance is subject to change due to operations.